Lego Harry Potter Years 1-4 | Yorkshire Pudding Gone Rogue Lego Harry Potter Years 1-4 | Buttons aren't toys! I played the demo of this, and was hooked. 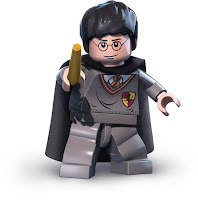 I really enjoy all the Lego type games (though not so much on the Wii as on the 360), so when I saw there was going to be a collection of them and that they we’re going to be Harry Potter, well I just about popped from nergasming! This game seems to offer a lot for people, and in my opinion is well worth it’s money. It has puzzles, and secrets, wonderfully funny animations relating rather well to the storyline of the books. Some die-hard potter fans may find issue with how close they manage to be to the stories, but let’s face it, if you could cope with the huge changes they made from book to film, you can cope with the changes they’ve made for the game… plus its Lego! What’s not to love eh? So as soon as I could, I had this game in my mucky little grasp, and as soon as I got chance (booting Welshtroll off the Xbob and putting Baby Troll in his wheelie-ma-jig), I got to playing it. I had enjoyed the demo so much that I wanted… no needed to see if the entire game would live up to it’s potential. And so far, for me at least, it has. I have not yet completed all 4 years, but I’ve only had it a week and with hubby and baby at home with me, I don’t think I’m doing badly to have finished the first two years. I am looking forward to doing the next two stories very much! If they are as good as the one’s I’ve completed, I shall be a happy girly! Plus, when I have finished the entire lot of stories, I’ve unlocked free play, meaning that I can go back and do lots of playing about with Quidditch, and flying, and characters etc, and complete the secrets that I may have missed. Now, I’m trying not to be all fan-boy-girl about this, but I feel I may be failing. I am struggling to find anything about this game that I don’t like. But I’ve another two years to find out… so to speak.